- The car self-gears are made for various companies. An automobile self starter motor assembly is an electric motor that initiates rotational motion in a vehicle's internal combustion engine before it can power itself. we have a wide range of this product for tractors and vehicles of different manufacturer. Starter drive is an electric motor initiates rotational motion in an internal combustion engine before it can power itself. It is used to connect and disconnect rotating starter motor shaft to the engine for cranking. The drive comprises of small steel or nylon pinion gear that connects to the end of the starter armature shaft. Weoffer a wide range of for bendix drive assembly for Toyota. These areavailable in varied specifications and are offered at competitiveprices. Lucas Self Starter Drive Assembly is designed utilizing quality-tested material and modern techniques in synchronization with defined standard. It will make the performance smoother. IGNITION COIL, CARBON BRUSHES, BATTERY LUGS, BATTERY TERMINALS, SPARK PLUG SOCKET etc. We bring forth vast industrial experience and expertise in this business, involved in offering a high-quality range of Mico Tata Self Starter Drive Assembly. Backed by a rich industrial experince we are engaged in offering a commandable array of TACHO DRIVE ASSY. We are well known association engaged in offering optimum assortment of Starter Drive Assembly for Cars to our clients. In addition to this, client can purchase the offered drive assembly from us at highly affordable prices. Starter assy. for brush cutter, chain saw, hedge trimmer, lawn mower etc. 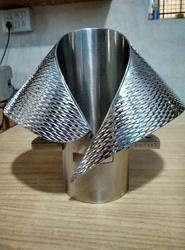 Suitable for Stihl, Mitsubishi, oleo-mac, greaves, hitachi, hi-max, Maruyama, marunaka, etc.